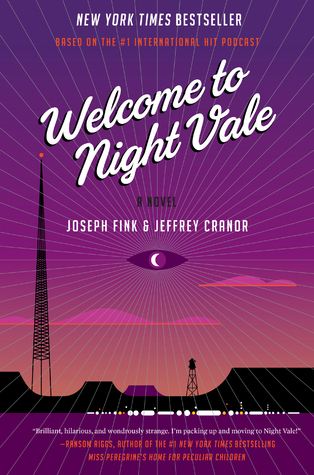 …a friendly desert community where the sun is hot, the moon is beautiful, and mysterious lights pass overhead while its citizens pretend to sleep. It’s a town like your town, with a city hall, a bowling alley, a diner, and a radio station reporting all the news that’s allowed to be heard. It might be more like your town than you’d like to admit. In this ordinary town where ghosts, aliens and government conspiracies are part of everyday life, the lives of two women, with two mysteries, are about to converge. I wrote a post last year about pre-ordering this book, and have only got round to reading it this week (oops). The first lines really don’t do it justice – it is a unique and unusual narrative, unlike anything I have read before. Click here to read more first lines!